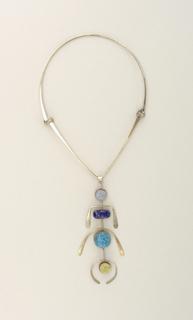 See more objects with the tag beads, silhouette, stitched, human body. 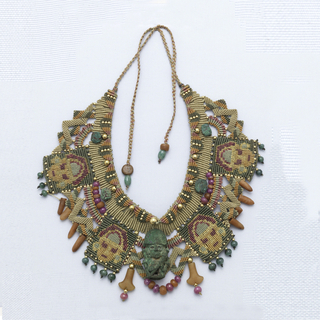 This is a Necklace. It is dated 2000s. It is a part of the Product Design and Decorative Arts department. 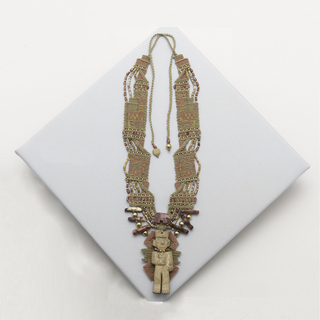 African American Joyce Scott introduces strong social undercurrents in her colorful beaded jewelry that are both cartoonish yet deeply felt. 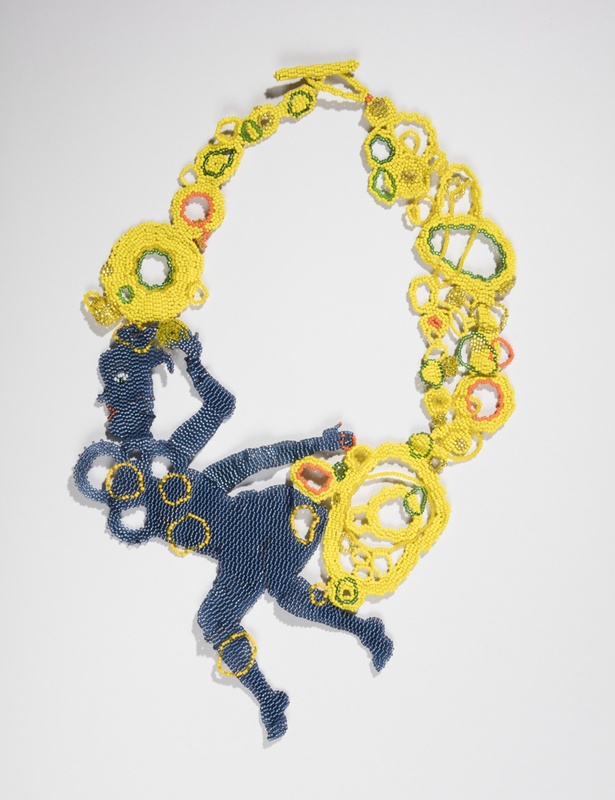 Her sculptural neckpiece using a unique African-American quilting technique, the peyote stitch, challenges the viewer to consider issues of gender, race, and class from a different perspective. 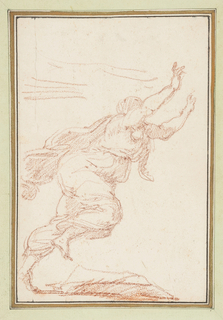 nylon thread, bronze, carnelian, ruby, emerald, gold.